We safely and properly dispose, donate or recycle your “stuff”. In preparation for your Garage Make-Over, our team is available to help clear out clutter and haul away any unwanted junk. We remove all kinds of trash, debris and rubbish from your garage and make sure every last piece is safely and properly disposed, donated or recycled. 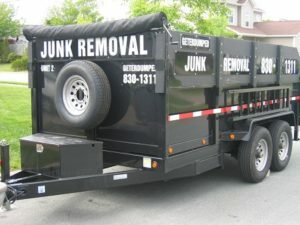 No matter how large, small or heavy, we’ll haul away all your clutter and remove your stress away!